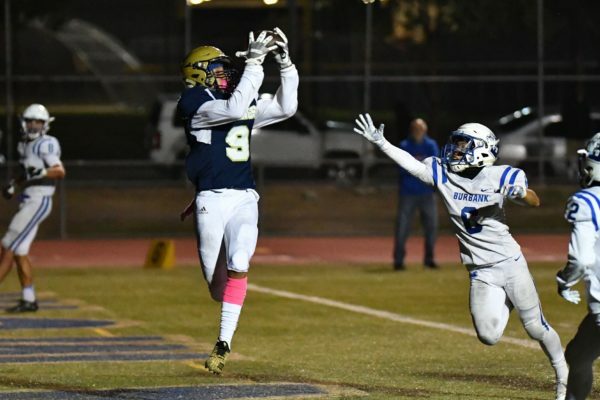 Muir led 14-9 at the half on Friday night on a touchdown run by Brian Love to Caleb Snowden and a two-yard touchdown run by Love. Play resumed at 8:00 a.m. on Saturday Morning and Matthew Porras’ 17-yard touchdown pass to Duncan Smith with 3:17 left was the game winner. 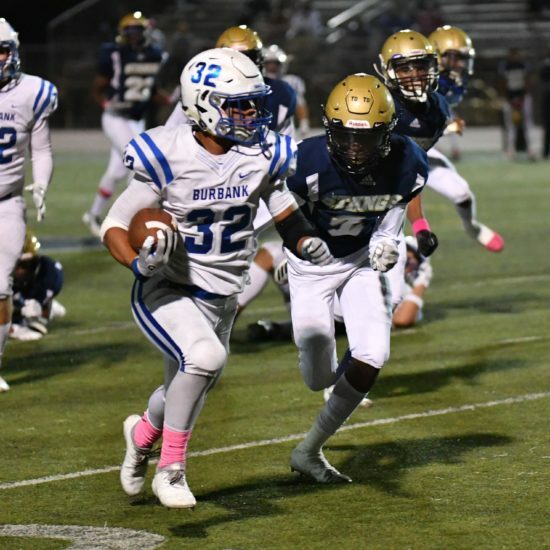 Burbank improved to 5-3 and 4-1 in the Pacific while Muir dropped to 6-2 and 3-2.